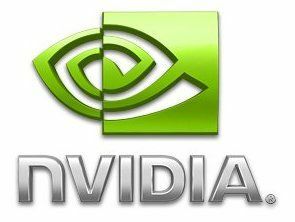 A second generation of Nvidia's Tegra System-on-Chip (SoC) silicon looks set to be launched at CES in January – and it could well be something to watch in 2010. We've not seen a great deal of shipping devices featuring the earlier silicon so far - the Zune HD and the Samsung M1 to name just two. However, that appears to be set to change with the new generation. Xbit Labs has posted some interesting quotes from Michael Hara, Senior Vice President of Investor Relations and Communications at Nvidia at the Barclays Technology Conference. "At CES [products will be] shown by our partners using the next-generation Tegra device. You are going to see roll-outs and deployments of tablet PCs, smartbooks, netbooks, MIDs throughout the first half [of the year]; and then you will see major roll-outs of smartphones in the second half." So we're going to see a wider variety of devices using the silicon. We could have guessed that, but the breath of form factors Hara talks about really pitches Tegra right up against Intel's Atom as well as Qualcomm's Snapdragon. And if Hara is right about the involvement from partners then it could well be Tegra 2 making a splash in 2010. There are a few other tasty details, too. Xbit reports it will have a dual-core ARM processor, more powerful graphics and be manufactured using 40nm process technology. Hara added that Nvidia hopes $100 million of revenue will come from Tegra by the end of its financial year 2011.